Need perfect family summer entertainment? 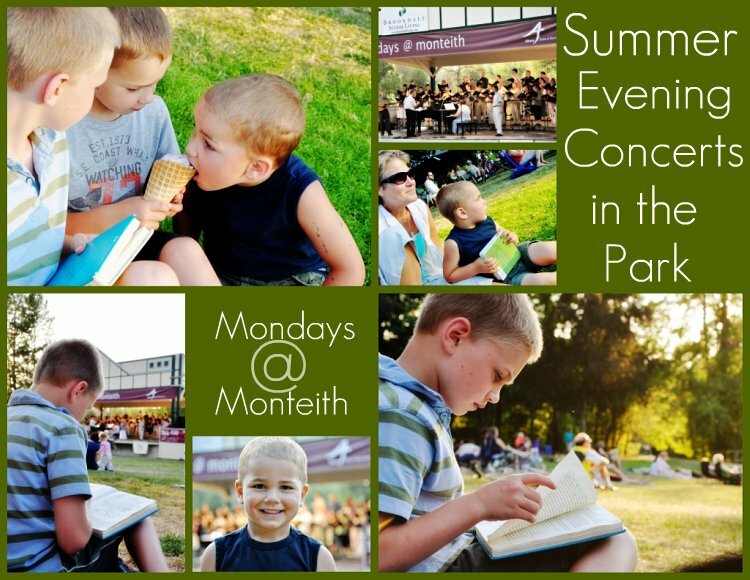 One of our favorites is the summer concert series at a local park. we prefer the much quieter (and much less attended) Monday evening series. and settle our blanket near the stage, with room to roam. flirt with fellow concert-goers, or devour an ice cream cone. Leif ran out of staying power before I was ready to leave the concert. He decided to entertain himself by making faces for the camera. Your slide show works, and it's the highlight of my morning! Love that boy!!! I love the slide show! I haven't been to Picnik in a while. What fun! Loved the slide show also. What a "card" he is, also a cutie and getting soooooooooo grown up. I can't believe it.